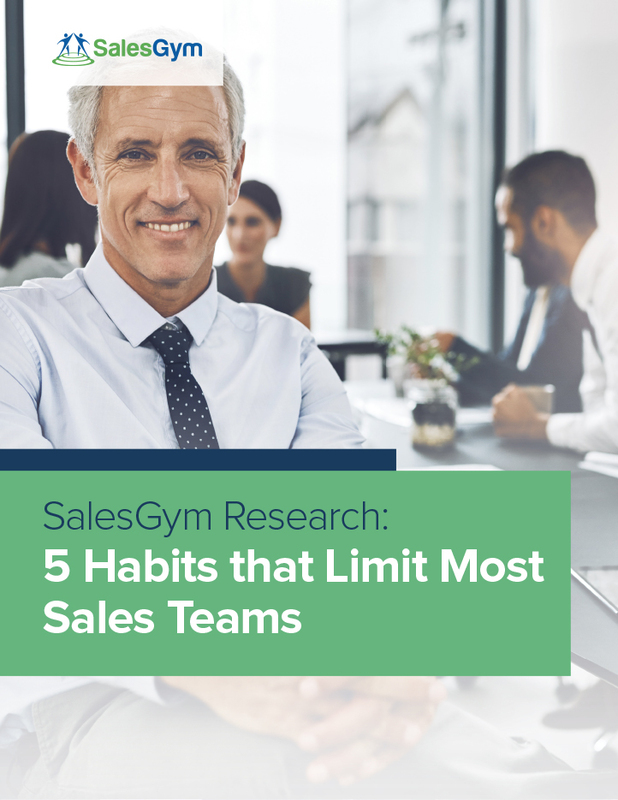 At SalesGym, we’ve noticed that top performers have a bias for action and doing vs. avoiding and analyzing. Selling is largely about gently nudging your way into conversations with people that are initially resistant and transforming that resistance into rapport, then trust, then business. Unless you’re just sending out emails all day to drive traffic to some self serve product ordering portal, sales is largely about initiating new relationships and quickly building trust. It pays to identify these traits early in the hiring process because they seem to be more personality oriented and harder to develop. With new team members, it’s essential to get them interacting early and often with more experienced members of the team to accelerate their learning pace. Not everybody's going to be exactly like the manager, nor should they be... you need a good balance on your team. You need to adapt your management style and how you coach to that person's personality. For a new sales manager, the number one priority is get out there with your team, get out there with our customers and understand what's going on in your district. Understand what's going on with your personalities and only then will you be able to effectively coach. Getting in there and listening and then forming your plan is the first thing. The worst thing you can do as a manager is to sit on the sidelines and try to quarterback from there, that is not going to work. The most successful managers and some of the most successful meetings are where the manager poses a question and has somebody on the team talk about how they've handled a situation, sharing with other folks and making it really interactive. Those are the most engaging, exciting, and that's when people get psyched and learn and try something new.